← Do you want to be amongst the successful people? Sabr (patience) indeed strengthens our hope and our staunch belief in Allah (سبحانه و تعالى). I can bring to mind an incident and remember the benefits I obtained from Allah (سبحانه و تعالى)for having patience inside my heart. I was very upset when I lost it at first, but I kept hope and faith and Allah (سبحانه و تعالى) granted me more than I had expected. Which steps do you think you can inculcate sabrun jameel (beautiful patience) in a person and also in a nation? Sabrunjameel requires being patience in the most beautiful manner. 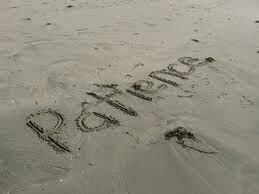 Beautiful patience includes sabr without any complaint and it also includes an effort to remain in a normal condition. Realization that Allah (سبحانه و تعالى) knows the condition of your heart and He (سبحانه و تعالى) will plan better for you is a thought that will encourage you to stay in a normal condition and will bring a smile to your face in any situation. As for the patience of a nation, a hopeful nation is a collective group of many strong people joined and united despite differences to form a strong nation. This entry was posted in Reflections, Summer Camp and tagged Patience, sabr. Bookmark the permalink. Asalam Alaikum wa Rahmatu Allah! Barak Allahu feekum for you efforts. I was looking at your blog its very nice ma sha Allah as well.May Allah put Baraqah in your efforts as well.Would you like to write for Quranreflections as well.